Welcome, and thank you for visiting my website! ​My name is Chelsea Broughton and I am a New York State licensed and nationally certified massage therapist. ​I have always been a strong believer in a holistic and preventative approach to health and wellness. ​I consider the benefits of massage to be limitless and whole-heartedly believe in the healing power of touch. When you come to see me you will be receiving a truly individualized massage. Every session is custom-built to meet your specific needs and desires for that day. 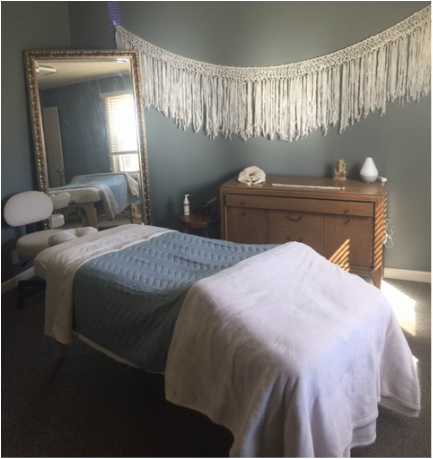 From deep tissue, area-specific massage to gentle, stress-reducing Swedish massage, each session will be tailored specifically to you!​ As an LMT I have encountered and helped numerous people with neck and shoulder tension, sciatica, chronic headaches as well as stress reduction & management. I offer varied session lengths from 30 minutes up to 90 minutes at my office as well as on-site chair massage for businesses or events! Check out the services page for more details! Wednesday, Thursday & Friday availability varies each week. Please check my online booking page for weekly availability.